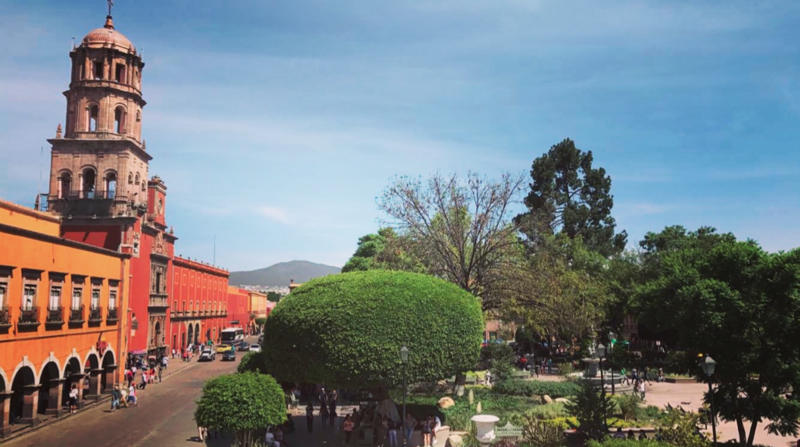 ILP vacations are for adventures in hot springs, snorkeling with sea turtles and checking out ancient Mayan ruins before lounging on the beach … but every single weekend off means you can explore some other hidden gems, like the city of Querétaro. 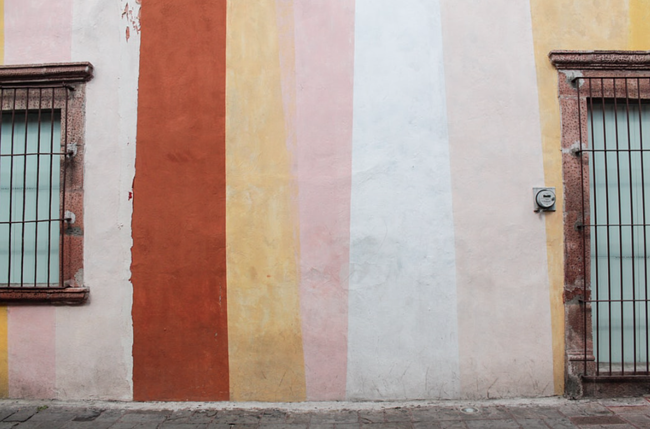 Are you seeing the right spots in Mexico? 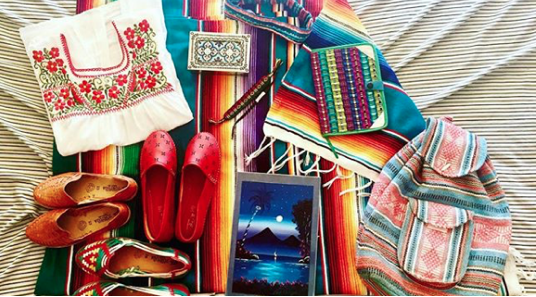 This Mexico Destination Guide will help you out. 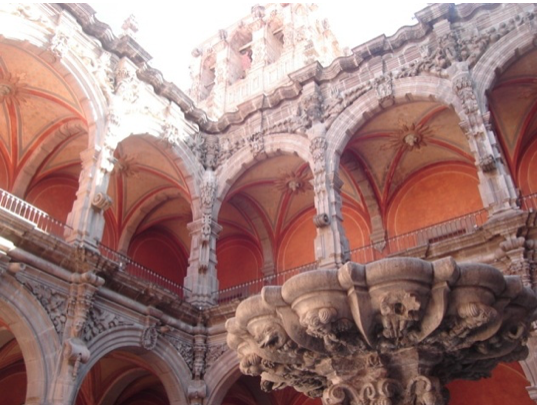 I know we have tons and tons of things for you to do in Mexico, but that’s fine — ILP volunteers are only teaching English part time and do have every Saturday and Sunday off, so you’ll have plenty of time to explore your city and the ones right next door, and that includes the colorfully vibrant and Spanish-inspired city of Querétaro ( also known as Santiago de Querétaro) … seriously, this place is amazing. This city is pretty … there’s no way around it. You are going to want to photograph these charming streets because most alleyways are lined with buildings in creamy yellows and vibrant oranges, plus the city is encircled with towering archways that form an ancient aqueduct. 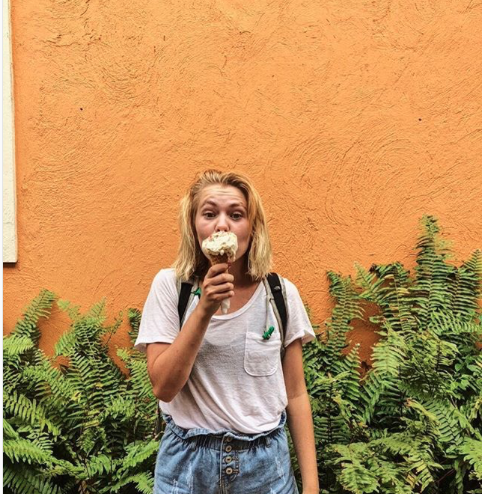 Spot statues and walls spilling over with greens and flowers and trick all of your friends into thinking you’ve deciding to spend a semester in Spain, not Mexico. Zenea Garden might be the best place to soak in the sights and local culture while you're vacationing in Querétaro. It's a big open square and garden with benches and walking paths to wander on, but along the borders of the gardens you'll find restaurants and cafes serving up local dishes, a stunning cathedral on one end, and usually some markets or vendors selling local handicrafts. On Sundays you might find a full band playing in white uniforms under the gazebo or a lone musician on other days. It's completely free, and a can't miss. The Santa Clara Church is for you if you’re into old Baroque styles with an interior bursting full of gold, intricate carvings. The church is about 350 years old, and most visitors tend to walk into the inside, and sit down to better appreciate how opulent the decorations are. The outside is low-key gorgeous with pretty pastels and domed roof, but the detailed Baroque inside will really leave you speechless. Another weathered gem that's hiding some beauty, this particular catholic church has enough detail on the inside for you to admire in two or three visits. Outside of the church, you'll find a quiet square where you can hang out, grab a drink or snack from the little cafe, a buy a couple of crafts if there are some vendors hanging out by the square's fountain. There are also countless cathedrals and churches which are just begging to be explored; we recommend planning a couple hours in the morning to just walk the quiet streets and see what you stumble upon. In particular, you'll find loads of colorful buildings along 5 de Mayo and 16 Septiembre streets. Pro Tip — Tons of festivals, concerts and events happen in this city all of the time. You can grab a calendar of events that are coming in the gardens just east of Santa Rosa Temple. 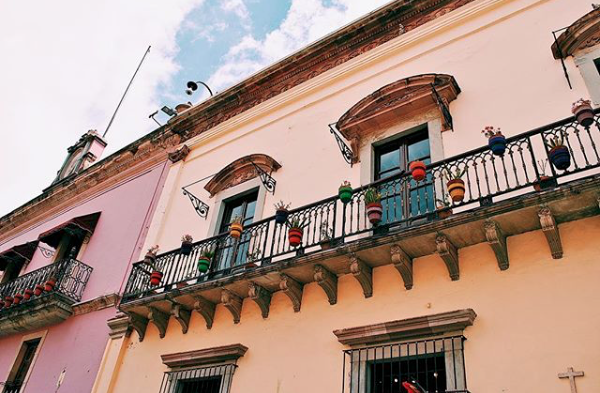 Head to the historical center— El Centro — for all of your favorite souvenirs; embroidered shirts, colorful throws, Frida Kahlo-related souvenirs, handstrung jewelry and others (any up for Mexican style furniture? You can find it here). The Sunday markets in El Centro are our favorite. You can also hit up a couple of the malls if you need a bit of a wardrobe update. There are a few malls in Querétaro where you can find favorites from home like Zara and H&M. Your ILP city will have a few stores where you can pick up the basic necessities, but Querétaro has a Wal-Mart which means you can find basically anything you could need (like imported food you're missing from home: candies, pasta sauce, peanut butter, more American brands, etc.). The Wal-Mart and most movie theaters are in an area called Antea which is on the outskirts. You’ll find this iconic superstore, along with a few shopping malls and fun centers (we love ice skating and Go-Karting here). It's best to take a taxi since Antea is on the outskirts of the city, but everything in the city's historic district is rather walkable, so you won't need to pay for taxis your whole trip. We've had volunteers stop over in the magically cute city of Tequisquiapan for a day or so wishing they had more time to explore the European style streets and cathedrals. It's an easy day trip from the city of Querétaro. 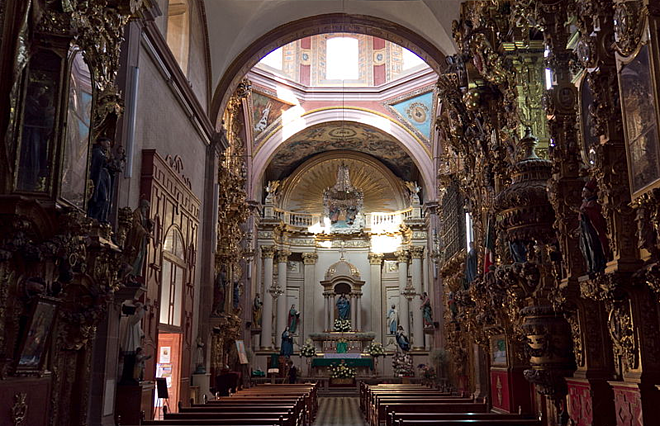 Come explore all the things about Tequisquiapan. From the city of Irapuato where our ILP volunteers are living, there are a few options when it comes to bus companies. 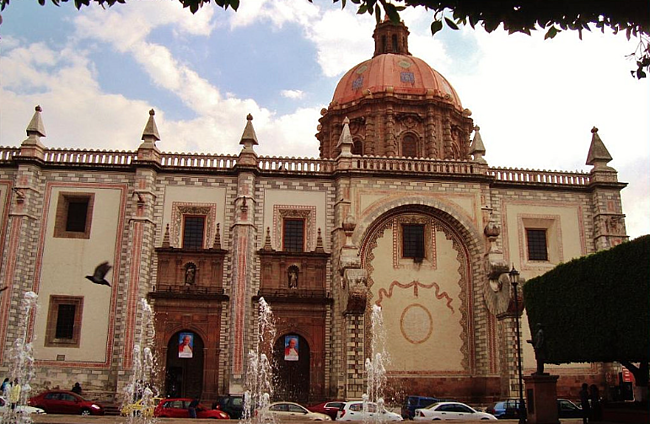 Here are our favorite bus companies to book with from getting to Irapuato to Queretaro. You can check out this website that gives info about price, when the buses leave and info on where to catch these buses — but plan on about two hours from your city to get here. Good news: you’ll get pretty familiar with the buses to Querétaro (you’ll probably transfer here to get to Mexico City before catching a flight over to beaches in Cancun or Puerto Escondido for your longer vacations). The bus tickets out of Queretaro can be purchased online, or at the kiosks when you get to the bus stations in your city. Some places only accept cash, as a head's up. If you go with the online route, they will email you a ticket and then you can print it off in the office at the school. That site above works best if you use it in Spanish (they do allow you to translate it into English) but we ran into issues when it came to processing payments, so best to conduct this in Spanish if you're booking online (your Local Coordinator can help you with this). The central, historic district is rather walkable, but if you have plans to visit some of the more American chains restaurants or go to the WalMart in Antea, you'll want a taxi. 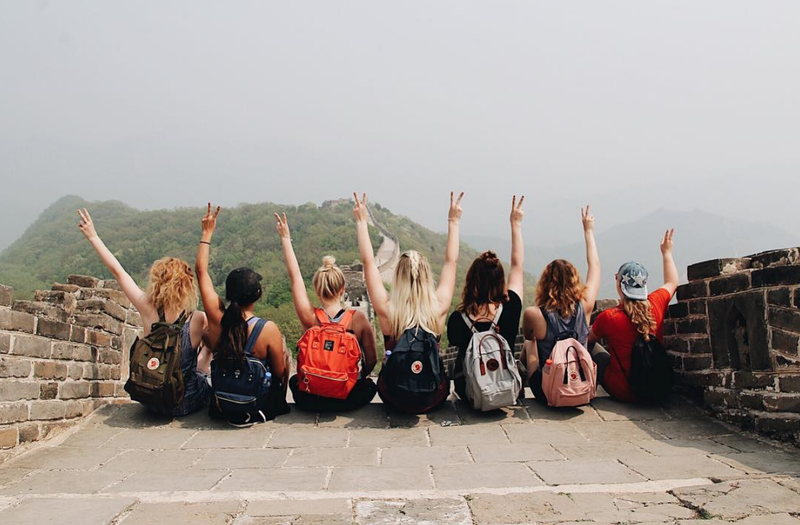 Read all about one volunteer's experience in Mexico — a semester full of the cutest kids, amazing culture, rad food (tacos, people ... tacos!) and some of the prettiest vacation spots around.